At Affordable Home Inspection, we understand that buying a home is one of the most exciting and important purchases of your life. It’s also one of the most stressful, time-consuming, and expensive purchases of your life. That’s why we’re here – it’s our business and our purpose to help you lower the stress and cost of buying a home by providing thorough, accurate, and affordable home inspections. After you’ve signed your closing papers, one of the worst things that can happen is an unexpected major expense due to problems in the home that you weren’t aware of during the buying process. Since 1999, Affordable Home Inspection has given knowledge and confidence to thousands of homebuyers in the greater Austin area. A quality Affordable Home Inspection will help you avoid costly repairs and questionable deals, saving you time and money in the long haul. We’re also aware of your time constraints and the stress they can cause, which is why within 24 hours of completing your inspection, we’ll deliver a detailed written report with images that documents our findings and recommendations. Owned and operated by Gordon McCool, Affordable Home Inspection is dedicated to providing customers with personal attention and service. We encourage you to ask questions, even after the inspection is complete. 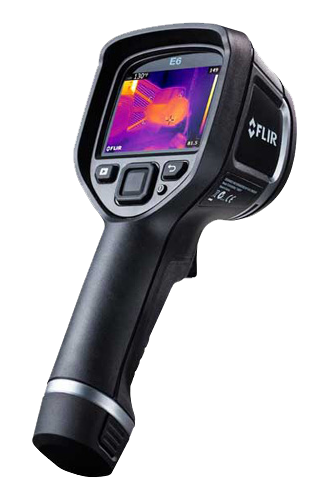 We use cutting edge technological tools to increase the value of your home inspection, at no additional charge to you. These services include thermal scanning, which is fast becoming the industry standard for detecting hidden problems such as water leaks or electrical wiring issues; and Zip Level, a device used to measure deviations and elevation of the foundation. When needed, we also use drones for roof inspections. Our services include general home inspections, as well as pre-listing and 11-Month Warranty Inspections. In addition, we inspect outbuildings, such as unattached garages, barns and storage sheds, and pools and spas. Let Affordable Home Inspection help you take the worry, extra time, and expensive unknowns out of the homebuying process, so that you can focus on the exciting parts.